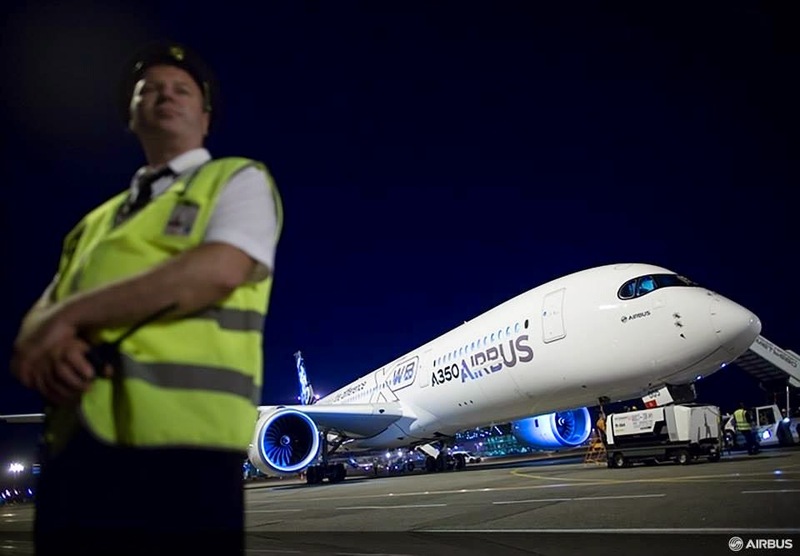 A350 XWB News: Lessors´ orders for A350 focused on replacement needs more than on airline growth opportunities. 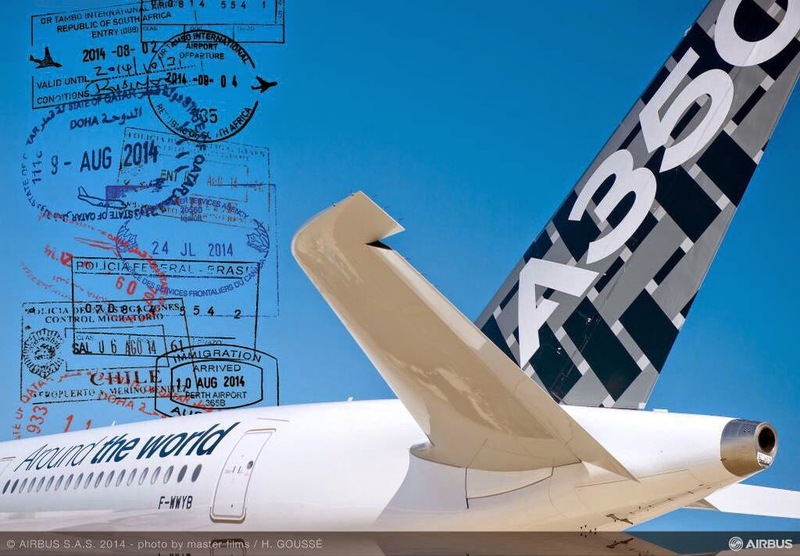 Lessors´ orders for A350 focused on replacement needs more than on airline growth opportunities. While massive backlogs at some aspiring carriers help fuel talk of a potential order bubble, the number of established airlines that have yet to line up replacements for older aircraft have lessors bullish on long-term prospects and keep manufacturers confident they are not overproducing. 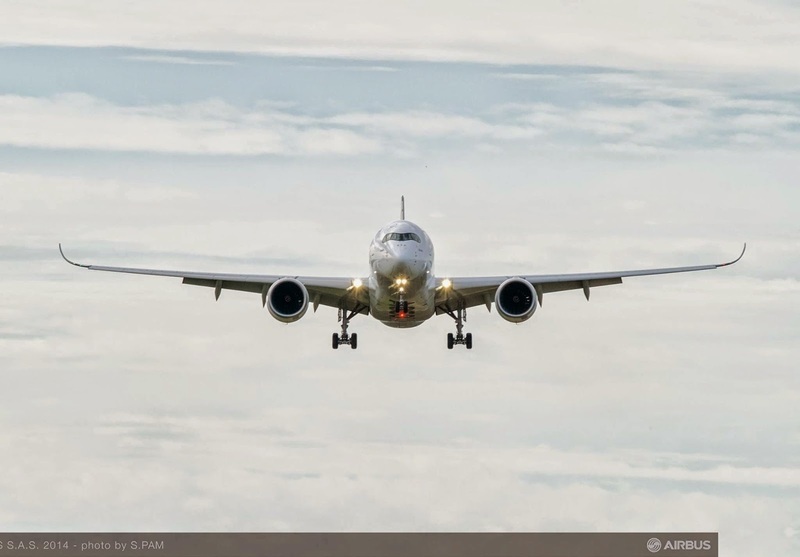 Boeing is ramping up 787 production and Airbus is slowly phasing in the A350, which for the first time will have a material effect on its widebody supply in 2015. The decisions have led some to believe that the manufacturers are taking on too much risk and may be forced to cut back if the global economy does not perform as expected. But lessors such as Air Lease Corp. and AerCap are arguing that demand will largely be driving the need to replace aircraft, a segment that is more immune to cyclical variations than pure capacity growth. Data from Boeing, Airbus and the International Air Transport Association (IATA) that were analyzed by Aviation Week in this article show some major differences in the order patterns of airlines and lessors depending on aircraft type. 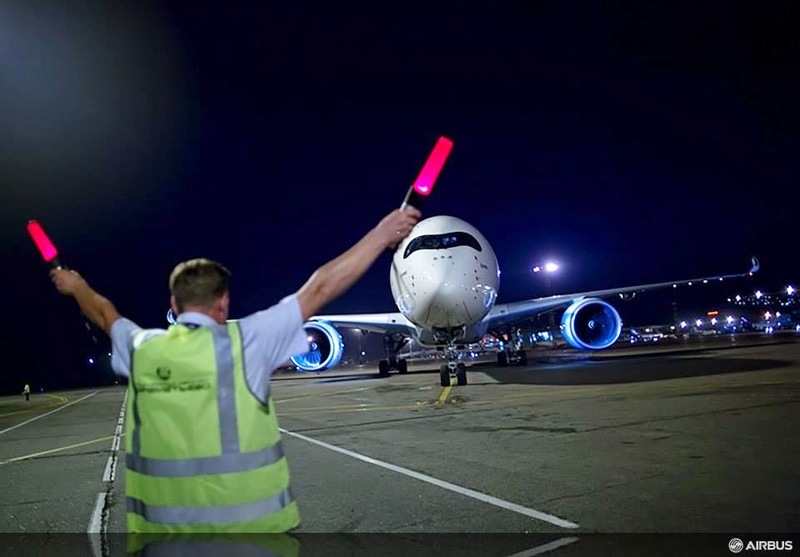 Concerning long-haul aircraft, of the top 50 airlines by RPK, only 7 had not ordered either the Airbus A350 or the Boeing 787, limiting opportunities for lessors to place aircraft with airlines that are making late decisions. 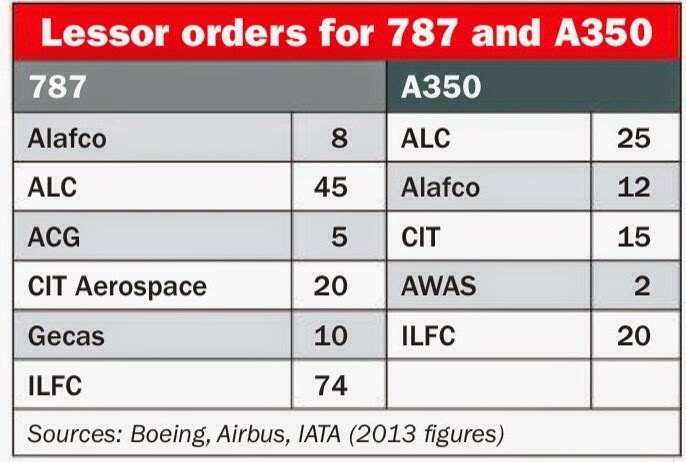 Interestingly, lessors also control about 15% of the current 787 backlog, but only 10% of the A350 orderbook. If the scope is expanded to smaller airlines, the replacement market for widebodies is becoming larger. 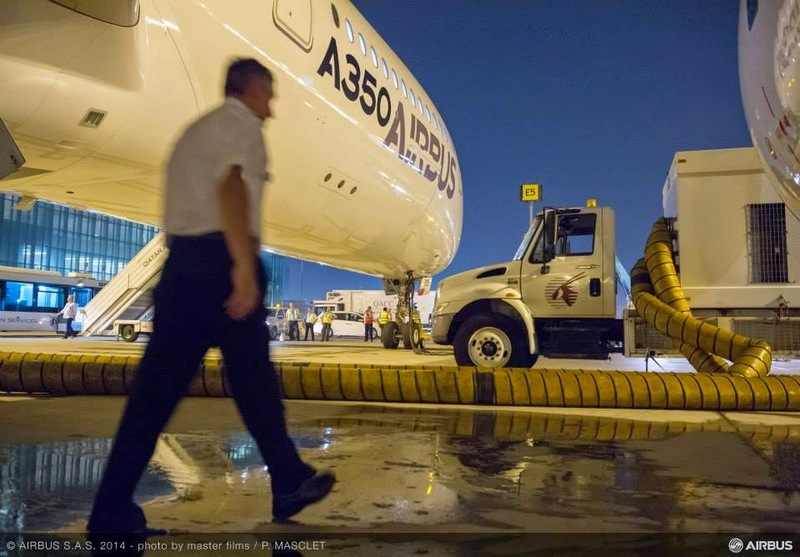 A recent Air Lease analysis calculated that about 40 airlines with Boeing 767s, A330s, or A340s have not ordered comparable next-generation replacement models. What is driving lessor orders in many cases is not so much airline growth opportunities but retirements. “We remain primarily focused on the demand generated by the replacement cycle of aging aircraft,” CEO Steven Udvar-Hazy says. And analysts agree. Even with projections of solid air traffic growth, the next decade or so will see the percentage of new deliveries replacing existing aircraft rise steadily. Historically, about 1 in 5 new deliveries has replaced an in-service aircraft, while the rest have fed growth, consultancy ICF International notes. In the next 10 years, that ratio will be closer to 1 in 2, and total annual retirements are projected to hit 1,000 per year by 2025 at the latest. Boeing’s latest market outlook has airlines adding 36,770 new jet aircraft in the next 20 years—42% of which, or 15,500, will be replacing existing equipment. 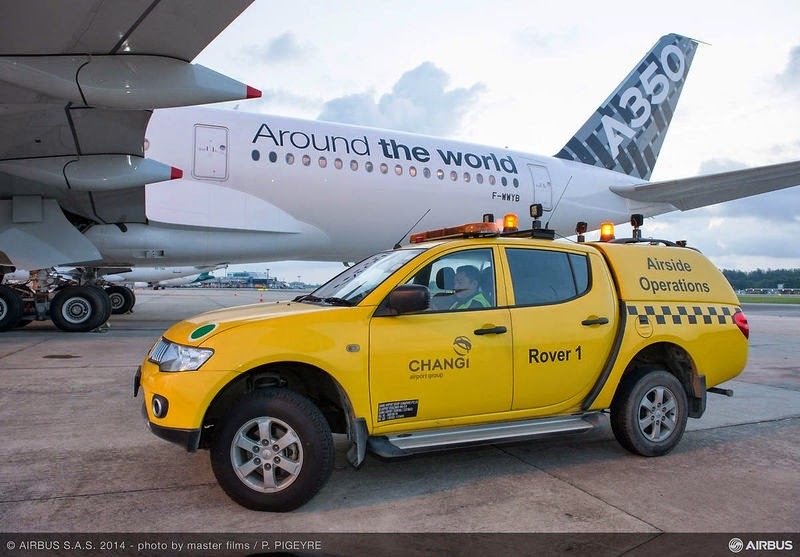 The steady traffic rise is being credited for parked aircraft being returned to work. A recent UBS analysis showed the stored aircraft fleet declined 7% in the 12 months ending 30/May, and the number of parked newer aircraft—those at mid-life or younger—dropped even more. Higher load factors may also be helping to stoke demand. 20 years ago, load factors in the mid-60% range were commonplace. This year, airlines filled 79.3% of their seats through 30/June, IATA figures show. The significance for manufacturers and lessors: airlines cannot grow by filling more existing seats as easily as they could 2 decades ago, ESG Aviation Services analyst Ed Greenslet explained. As a result, they add more seats, which usually means adding aircraft. “We now have airlines requesting quotations and leases on next-gen aircraft delivering in 2017 through 2019 and beyond,” AerCap CEO Aengus Kelly says. “Many of these airlines have delayed too long ordering their own new-generation equipment, thereby needing to obtain these aircraft from our order pipeline.” But he expects airlines will request additional lift even earlier than that. Based on the article “Delayed Response” published in Aviation Week. I'm not sure if Alitalia qualifies as a key airline. South African, on the other hand, would be a key player here and last I checked they did not commit to the A350 or 787. 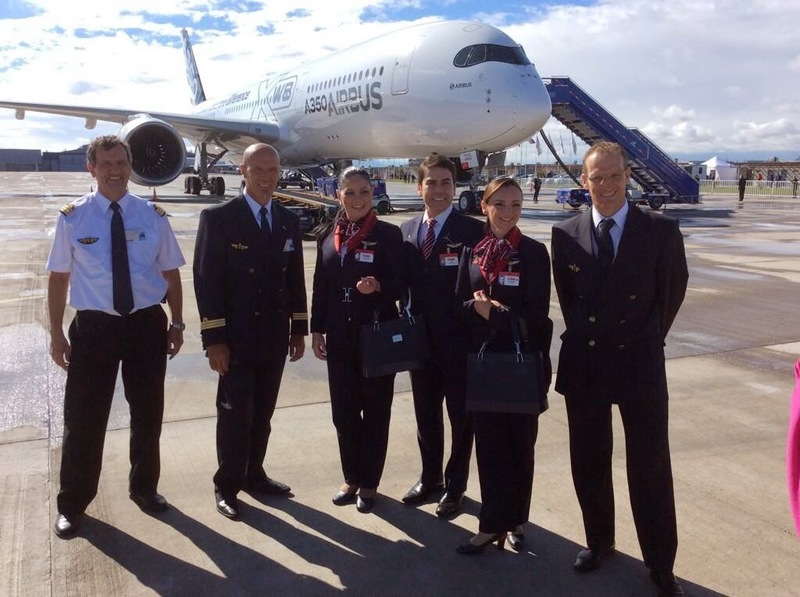 The A350 will likely be their choice as it better fits their fleet requirements for their network. They are also current Airbus operators. It would be most interesting to see what Turkish does. No doubt they will get some 777-9X 's since they are in a race with the Lufthansa and the middle east three. My guess is that they will also get even more A350's as a package of -900 's and -1000's would better cover most of their network. Turkish will be the one to watch since they could also use the Neo or the 787. Delta seems to like the A330 and they should probably go all Neo plus 777-300ER or A350-1000. 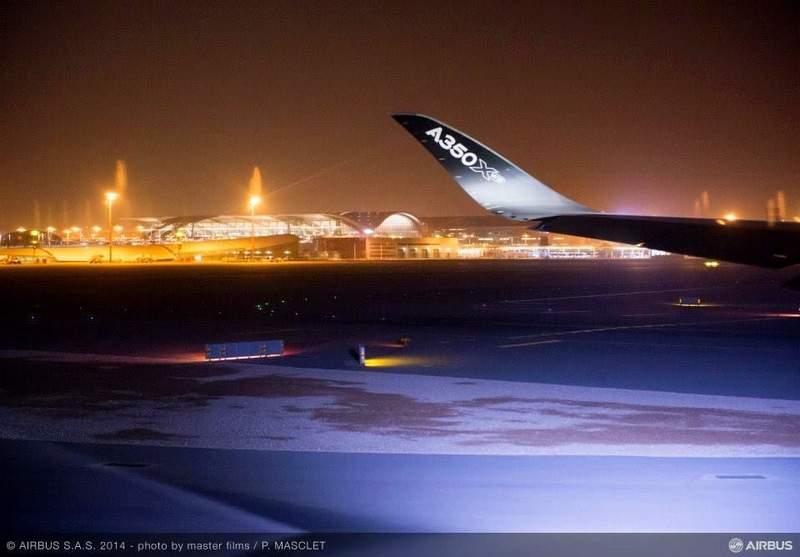 Airbus should negotiate an attractive Neo and A350 combo package for them.